Sony's quest to stamp out traces of leaked email across the web continues, with the company now threatening to sue Twitter if the social network doesn't ban accounts that are sharing information from the leaks. In a letter obtained by Motherboard, sent from Sony lawyer David Boies to Twitter's general counsel Vijaya Gadde, it's stated that if "stolen information continues to be disseminated by Twitter in any manner," Sony will "hold Twitter responsible for any damage or loss arising from such use or dissemination by Twitter." 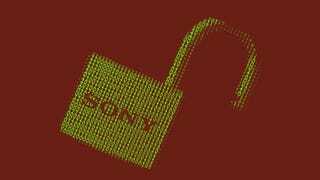 In particular, Sony points to Val Broeksmit, a musician who's posted screenshots of hacked Sony emails on Twitter, asking Twitter to share the legal threat with him. It clearly did, as Broeksmit forwarded the email to Motherboard. Incidentally, Twitter told him that it "cannot provide legal advice. You may wish to contact your own attorney about this matter." The company asks a user to “arrange for and supervise the destruction” of leaked emails. Later on in the letter, Sony asks Twitter to "comply with all future requests with regard to any other account holder seeking to disseminate the Stolen Information via Twitter. In addition, we ask that you provide the Account Holder with a copy of this letter, and request that the Account Holder cease publication of the Stolen Information on Twitter." Twitter has confirmed to Motherboard that the letter is real. It's unclear what's going to happen next: the tweets of Broeksmit and others remain online, but equally the social network's terms of service dictate that users cannot explicitly post another's private information (though it can link to it).